When I was a kid, my mom would always tell me that if I ate too much sugar, I’d get worms. In my little mind, Halloween candy, birthday cake, and other treats were packed with little worms, and if I ate just the right amount, a big worm would form and that would be it for me. While the other kids were stuffing their faces with sweets, I was scared of worms. But her method worked, even if it was a bit of a fib. I didn’t overeat as a kid, so I never really developed a problematic sweet tooth, which has saved me from a number of potential health risks thus far. And although I can’t tell you that you’ll get worms from all that sugar, I can tell you that you’ll become obese, get diabetes, and/or suffer from heart disease and a number of other problems if you don’t pay attention to what you eat. 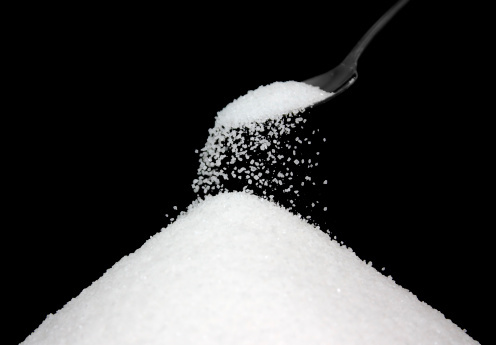 So how can you curb your sugar intake? There are a lot of ways, but the most important is through awareness. Sugar hides everywhere. That loaf of white bread or the dinner rolls in your pantry, for example, are packed with it. The same goes for orange juice and your daily specialty coffee. The sad truth is that sugar is hiding in most packaged foods and is added to countless items you’d likely never guess contained any. The only way to really know how much sugar you’re consuming is to read the labels. One of the easiest—and tastiest—ways to decrease your sugar intake is to increase your fruit intake. Sweet fruits, like apples and grapes, can offer sweet, natural fructose to satisfy a sugary craving. So instead of reaching for a candy bar in the evening, have an apple. If you want a little extra flavor or something a little more filling, slice the apple and spread some natural peanut butter on it. This provides a sweet snack, while adding some healthy fat that can help lower cholesterol and keep you full. Sugar is too prevalent in the American diet and it has some major baggage. But you can wean yourself off of it by being aware and finding naturally sweet and healthy alternatives!